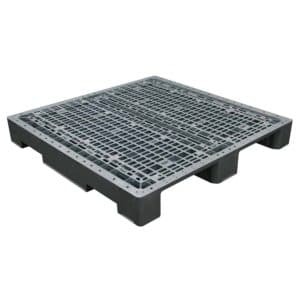 Suitable for use on the Dexion pallet racking system. Meets all OH&S regulations (most plastic pallets don’t). 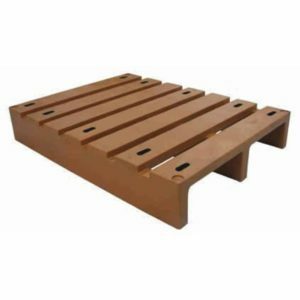 Anti slip rubber on top. 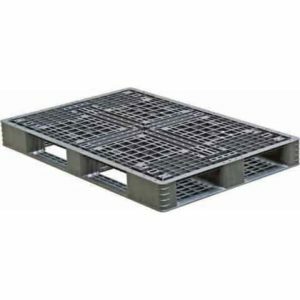 10,000 kg static; 2,000 kg dynamic 2,000 kg Dexion pallet racking system. Long term use in warehouse. Suitable for all food processing plants, meat and pharmaceutical industries. 50% virgin 50% recycled HDPE. Injection moulded / Heat compression welded. 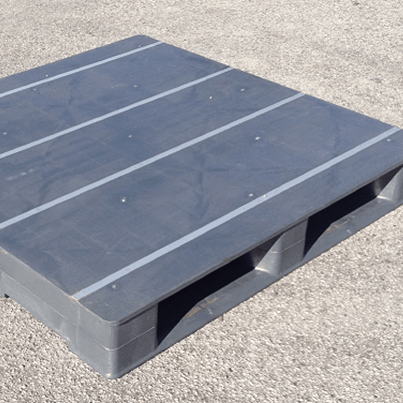 Our new heavy duty warehouse grade plastic pallets are perfect for warehousing stock and materials. 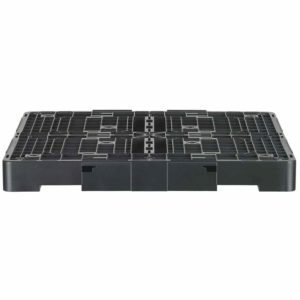 The weight and capacity serve as a middle ground between our standard plastic pallets and our heavy duty pallet options.